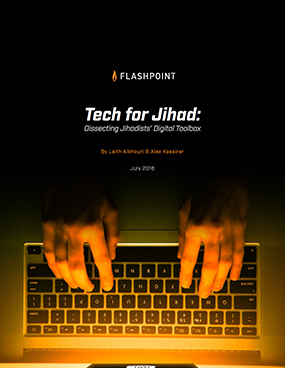 • Secure Browsers: Jihadists are increasingly turning to highly secure, alternative browsers, such as the Tor Browser, in order to operate online clandestinely without divulging identifying IP addresses and risking third-party surveillance. • Virtual Private Networks (VPNs) and Proxy Services: Tools such as CyberGhostVPN and F-Secure Freedome, often used in conjunction with secure browsers, help many jihadists further obfuscate their identities during online activities. • Protected Email Services: As e-mail surveillance remains a powerful tool for intelligence agencies to monitor actors, jihadists are turning to alternative e-mail services equipped with popular security features such as end-to-end encryption and temporary, anonymous account capabilities. Mobile Security Applications: Increasingly, jihadists are leveraging specialized mobile applications to enhance security on smartphones. • Encrypted Messengers: Despite a vast assortment of secure messaging platforms publicly available, the chat application Telegram remains the top choice among jihadists. • Mobile Propaganda Applications: As propaganda plays an integral role within the daily operations of radical jihadist groups, affiliated media units have released popular mobile applications enabling supporters to disseminate and view propaganda with greater ease, speed, and accessibility.